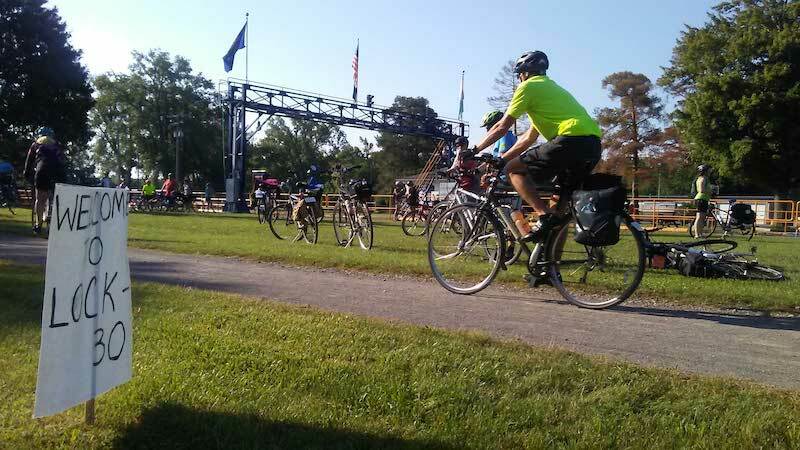 The Erie Canal Bike Tour draws over 600 riders over the past few years. Come out and join the fun for a few days enjoying the beauty and history of the Erie Canal. The Erie Canalway Trail is a 360-mile multi-use trail between Buffalo and Albany. Riders will average about 50 miles per day, and the route will take them through many historic towns and villages. Optional pre-tour rides to Niagara Falls and around historic Buffalo. Festive kick-off reception and dinner. Day 6 and Day 7 of the ride will come through the central Mohawk Valley from Rome to Schednectady with stops along the way in Little Falls, Fort Plain and Canajoharie. The Cycle the Erie Canal Rider Handbook is a free, comprehensive guide to the tour. It includes everything you need to know about the ride: training and gear; travel and registration; daily itineraries and meals. This convenient resource is the go-to guide for planning and participating in the ride. You can find more information and register at the Erie Canal Bike Tour website. You can also call (518) 434-1583, or check out their Facebook page at Erie Canal Trail. You can also find more events near you at Mohawk Valley Today.